Despite the differences existing between the nomads and the settled population in Hazarajat, economic relations and, on some points, cooperation, of benefit to both parties came into being at an early stage. It is thus common for the Hazara to take part in sheep shearing, for which they are paid on a share basis a twentieth of the wool sheared, and it is also quite the normal thing for them to purchase the wool, or to receive it in return for weaving transport sacks, kelims, shawls etc. according to a fixed system of division. If the nomads own cows, they are often left to the care of the Hazara for the winter, the milk being used as payment, only if the cows give no milk do the Hazara obtain a cash sum, for example 10 c Afghani per cow per winter. Finally, it happens that during the winter the Hazara store the nomads’ special summer tent which is somewhat larger that the one they use during their migrations. However, relations between the two ethnic groups are mainly of an economic, commercial nature. 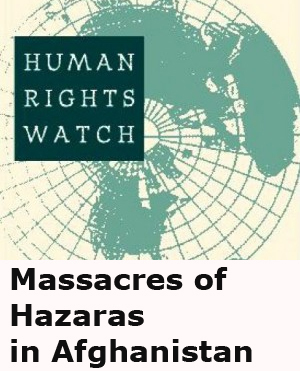 In the main the Hazara supply wheat, clarified butter and the woven articles mentioned, and receive from the nomads bazar goods, primarily cheap Indian (or Pakistani) clothes, unrefined sugar (Persian gor), tea, innumerable other things and—very important—credit. Installment payment systems—or rather respite in regard to payment—is a very normal thing in Afghanistan—as are also advance payments for later delivery. These are merely two aspects of the same thing: those with liquid means have, without employing any great skill, a change of multiplying them, usually at the cost of those who have not. 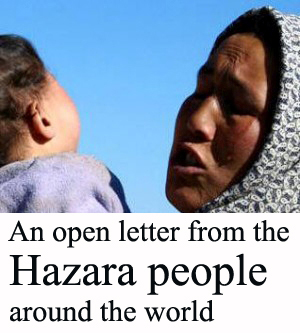 The Hazara are more or less constantly short of cash, and consequently often sell in one of the ways outlined. The nomads purchased goods both for their own consumption, and to an even greater extent to take with them eastwards for re-sale. The nomads thus pay about 120 Afgh. (==20-22 sh.) for 1 ser (= 16 pounds Kabuli = approx. 7 kg) clarified butter for delivery in the following year; in due course they re-sell this butter, for example in the Logar valley in East Afghanistan for about 500 Afgh. (= about 100 sh.) for payment the year after. In other words they obtain about 100% gross profit in a twelve-month, as a purchase for 120 Afghan becomes in two years about 500 Afgh. What is normally bought for delivery in the year following, but in general for the nomads’ private consumption, as nearly all wheat transport now takes place by lorry. For wheat they pay 10-11 Afgh. per ser. It is not seldom happens that when the nomad comes to fetch his wheat the peasant cannot supply it, and then must buy it back, for it actually belongs to the nomad. Now, however, the peasant must pay between 25 and 30 Afgh. per ser in order to retain the wheat he owes. If the peasant is unable to pay this sum in cash, it is converted to wheat purchased on an advance payment basis, at 10-11 Afghani per ser for delivery the next year. In other words, if the peasant must postpone his delivery of wheat to the following year, he must pay for each ser he should have delivered this year between 2.5 and 3.5 ser in the next. If unable to pay in due course the calculation continues as described with the result that the peasant sinks deeper and deeper into debt. The articles the Hazara purchase from the nomads, whether clothes, tea, sugar or other bazar goods are seldom, if ever, paid for in cash. The debt is written down and falls due for payment in the following year. It can be a matter or money, calculated on the basis outlined—a most profitable system for the nomads.—The story I heard with amazement many years ago about a pair of shoes, which in the course of the years became over half a ton (1 kharwar) of wheat, can thus very well be bitter reality. The backbone of this nomad trade, especially in earlier days, was cheap cotton clothing. The nomads preferred to give this as payment for all provisions, for it was the most remunerative. 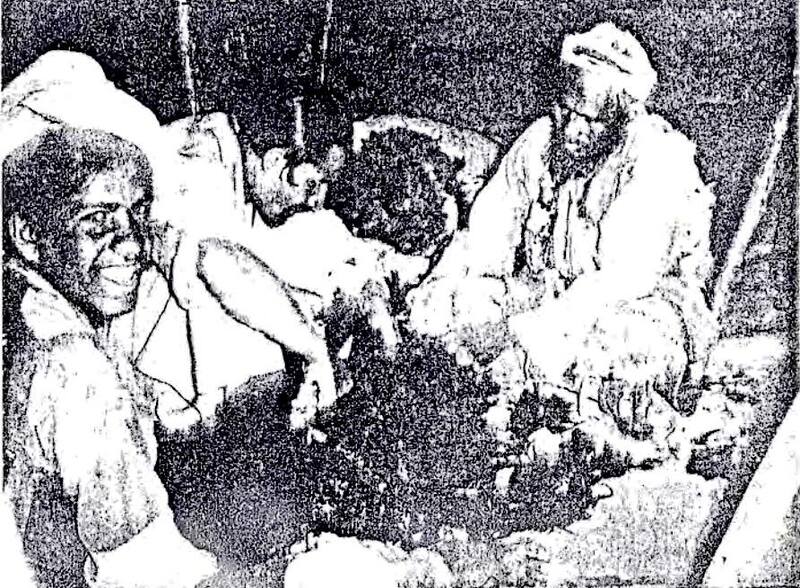 Indian, and now, particularly Pakistani, cotton clothing was purchased by the nomads, on their own admission (1960), in Peshawar for about 8 annas a yard or meter (= about 3-3.5 Afgh. =7-8 d.) and re-sold in Hazarajat for between 15-25 Afghani (= about 3-5 sh.) per meter to be paid the next year. For obvious reasons the nomads are generous with credit. 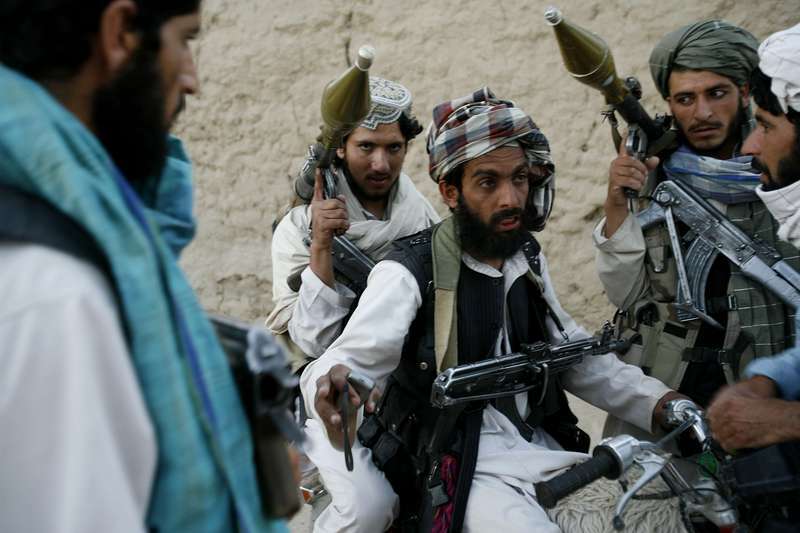 “if a man wants to borrow 100 Afghani we always give him 200”, they said. 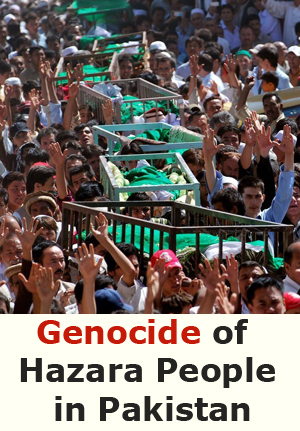 The result of this trade is clear; the Hazaras are sinking deeper and deeper into debt, and even if they wish to try to get straight economically they are seldom able to do so, being as it were compelled by their earlier financial engagements to continue trading with the nomads, a vicious circle. As settlement of an unredeemed debt the nomads take over sheep, cows and, in the last resort, land. The sheep and cows they may take with them eastwards for sale there, or alternatively the cows may be left in the Hazara’s care until the next year. 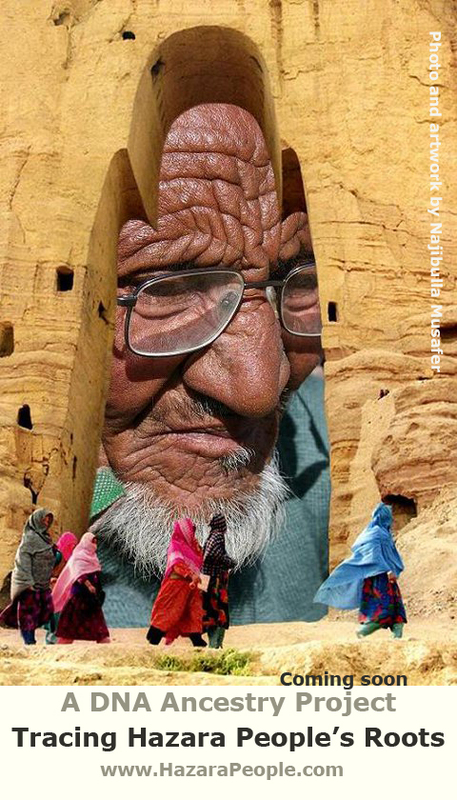 The land they also leave to the Hazara (perhaps even the previous owner) for him to look after as a share-paid tenant. Payment for this lies between ½ or ¼ (1/5 ?) 0 the yield, according to whether the tenant has supplied ploughing oxen, seed etc. The amount of land acquired in this manner (and in other ways, for example by purchase) by the Pashtun nomads is extremely difficult to ascertain without copious statistical material. I was told in 1954 by government officials in the Panjab (the seat of government, hokumat of Day Zangi), that they estimated that 5% c the land in Day Zangi was in nomad hands—but that the areas were increasing. Fig. 4—Hazara (to the right) helps Alozi nomads with sheep shearing in summer tent. From Talkhak, Waras, southern Day Zangi. July 29, 1954. In 1960 their share of the land was clearly greater, and moreover some wealthy nomad khans added to this existing process by purchasing larger areas. The Hazara told me that the nomads were no like kings in Day Zangi, and to some extent in Day Kundi also, whereas nomads’ ownership of land in Behsud, the easternmost and highest part of Hazarajat, was less extensive. It is apparent that it is the wealthy nomads, particularly the maliks and khans, who are the biggest land owners. In most cases the ordinary nomad today owns no land, but on the other hand often takes it on the so-called gerawi terms. This means that, against a once-for-all payment in the shape of a loan, the nomad takes a definite area of land as security. All rights to the land belong to the lender, and as he neither can nor will cultivate it, this is left to an Hazara on ordinary tenant conditions. If Islamic law is followed, the borrower (former owner of the ground) must not be employed a tenant. By giving his ground, or a part of it, in gerawi, which is very widespread in Afghanistan, the Hazara gets through his immediate liquidity crisis, whilst the nomad cheaply acquires land and the advantages consequent upon so doing, for the gerawi price lies below the normal selling price; in certain other parts of the country (Laghman) for example, it is a fifth of the ordinary sale price. The contract thus established runs for an indefinite period and cannot be terminate until the loan is repaid, or, according to information from the Aimaq’s area. The lender (nomad) has gained prescriptive rights to the land after some 20-25 year. 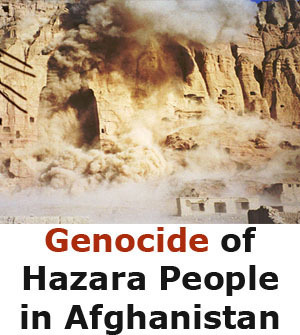 Repayment of loans of this kind is not infrequent in Hazarajat, primarily when the Hazara is able to give the land in gerawi to another at a higher price than the original contract. By the gerawi system and by the taking over of land the nomads achieve something very important, indeed almost ideal, for their one-sided occupation: a fair constant (and cheap) yield of vital agricultural produce within their summer grazing areas. On their side the Hazara obtain in the one case badly-needed cast which, however, is perhaps merely a step on the road to the other, where it reaches the somewhat more sheltered existence of the subordinate. Only one aspect of the relations between the nomads and the settled agriculturists has here been pointed out: trade where neither party wants cash settlement owing to lack of money and regard for profit, respectively, and where the deadline is one of the driving forces in establishing the nomads as a land-owning upper class that each year returns to fetch its yield. So far these acquisitions of land have not decisively altered the nomads’ moo of life; they are still tent-dwelling migrants. In the areas north of the Panjab few rich nomad khans now possess qal’as (i.e. village or farm surrounded by high wall) of the usual East Afghan type. These they only partially inhabit, and further to the west, in Day Zangi, a wealthy nomad khan was, in 1960, in process of building himself a qal’a, the local Hazara being summoned to build it. However, it should not be assumed that the nomads will settle in Hazarajat, at all even for many years, for the 5-7 months long winter of Central Hazarajat is far to severe. It is also symptomatic that the nomad khans who now own qal’as all possess land at other points on their migration route, primarily in the Logar valley, south of Kabul. The acquisition of land is a natural way of ensuring one’s existence as a nomad, whose occupation is in many respects uncertain and, particularly vulnerable in respect of catastrophes (cattle disease, natural conditions, war and so forth). The khan who was building a qal’a also told me that in the course of some years it was his idea to push stock-breeding (sheep and camels) into the background, and then solely to move with his family by lorry between his landed possessions in Khost, near the frontier (The Durand Line), in Logar and in Day Zangi. He had realized that this was in accord with the spirit of the time. The development tendencies here described cover the nomad tribes which are predominantly pure-pastoral, though possessing a tradition for some transport work (which all have more or less), but on the other hand the typical tradition nomads of former centuries are but little involved in this process. After their arrival in Hazarajat, the true pastoralists have obtained the: original, their so to say vital, trade accelerated and accentuated by the new surroundings, For many, especially the wealthier. It is thus understandable that their original pastoral mode of life has receded more and more into the background, becoming a more traditionally-stamped secondary occupation. 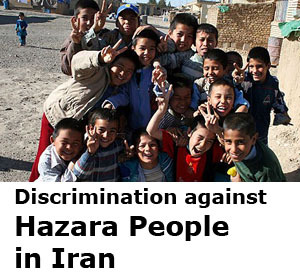 The actual reason why they now come to Hazarajat was trade, they told me. “For there is still much to gain”, and they added: “there is no better business in the world than our’s ”. if development continues as it has begun I must agree with the words of the old nomad chief: “The Hazara have had their day.” (“Sen-i-Hazara pura ast”). Ferdinand, Klaus. Nomad Expansion and Commerce in Central Afghanistan: A Sketch of Some Modern Trends. København: Dansk Etnografisk Forening, 1962. 130-135. Print.